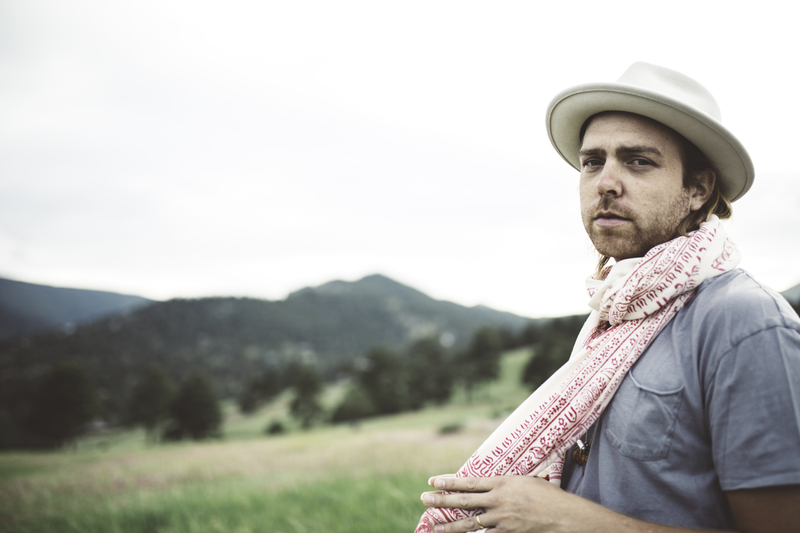 Singer/songwriter Trevor Hall joined forces with Taylor Cut Films', Jordan Taylor Wright, in the new release of "Moon/Sun" music video; explains why he fell in love with music. On this journey we call life, sometimes we push love away. But, the space in your heart is never going away; no matter where you go. On Monday, singer and songwriter, Trevor Hall, released the music video for Moon/Sun, one of Hall’s favorite tracks off his latest album, “The Fruitful Darkness.” The track quickly became a fan favorite, garnering millions of streams within weeks of its release. But, what’s interesting about the video’s release, is the combined forces of Hall and director, Jordan Taylor Wright, the founder of Taylor Cut Films, has worked and created original content over a ten-year span for artists such as Usher, Justin Bieber, Jennifer Lopez, and The Chainsmokers. I spoke with Hall and Wright on why they decided to join forces and how this relationship can send a powerful message to other artists across the music space. As Netflix’s Stranger Things has illuminated so well for us, the “Upside Down” is an alternate dimension that resembles a “dark reflection” of the world we see. Similar to this fictional world, our age of social media and music digitization, has also created its own “upside down” realm, dimming the light and passion artists have for their music. The idea of online fame or monetizing off the number of followers one has, seems to be the stronghold. Recognizing this, Wright reached out to Hall in hopes of overcoming this industry-wide behavior. “I think with the boom of technology, people have slowly started to lose their compass as to why they do what they do,” Wright told me. “Now, people just want to get followers, becoming popular as one of their statures, but without understanding why. What you have to realize is that at the end of the day, none of that will make you happy. Having first discovered Hall’s music during my travels on Semester At Sea back in college, I was curious what drove him to his passion for spiritual expression. I grew up in a musical household—I could show you pictures of me in a diaper playing the drums. My dad was a musician and drummer, and I remember this natural flow towards sound, especially when it came to my dad’s enormous record and CD collection. As a kid, I would pull out a record, simply because the cover looked cool, and I’d put it onto the player, listen to it, and pretend to play along with a broom or something. My dad was into so many different types of music and we had so many different types of instruments around the house, that as a kid, I got this wide-range of home-education on music. When I was a kid, I was obsessed with the idea of what I was going to be when I was grown up. But, I never thought I’d be a musician because music was a natural part of my being. Even to this day, there’s never been a bone in my body that stressed the idea of wanting to be a musician. On my sixteenth birthday, my dad surprised me and took me to his friends’ studio in South Carolina where I grew up, and let me record a few songs. We printed a little CD that was supposed to be just for our friends and family. One of my dad’s friends who lived in L.A., whom I considered my godfather and uncle, had me come out to L.A. to play a show, which I was completely against at first. Having never played a show before, I decided to see it through and played at a small place on Fairfax called Genghis Cohen. That’s how it all started. After the Fairfax show, I went to a boarding arts school outside of L.A. and continued to play throughout my senior year of high school. During my senior year, I signed a record deal with a major record label, which didn’t pan out the way I had wanted. But, going through that experience was a blessing in disguise, because I learned how the big machine of the industry operated and realized it just wasn’t for me. At that age, I had to grow up extremely fast, because everyone tells you what to do and how to do it. You definitely take it in, which I of course did. I have a lot of years where I listened to other people instead of what was in my heart. I eventually was dropped from that label and signed with a much smaller, independent label. I put out most of my music catalog with them and focused on getting back to myself and not listening to other people. Throughout my conversation with both Hall and Wright, both expressed their optimism for identifying what inspired them and gave them the happiness to continue producing their own art. “I am an optimist in the strongest sense of the word, because to me, we are all reflections of our current state of awareness,” said Wright.